Sangria: the gift that keeps on giving. First, it gives ample opportunity for summertime drunkenness for those who do not respect its potency (see: me). 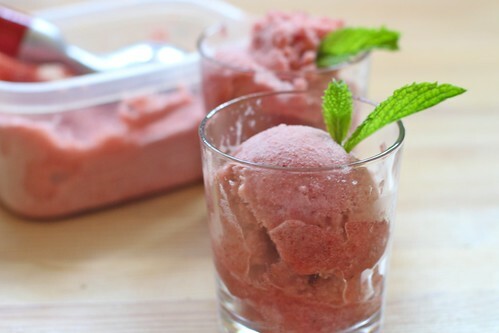 Second, it provides mounds of booze-soaked fruit, fruit that can be blended with simple syrup and poured into an ice cream machine for what may be my all-time favorite sorbet. Ergo, you should make some. Follow my recipe or don’t; I dont care*. Just do it. 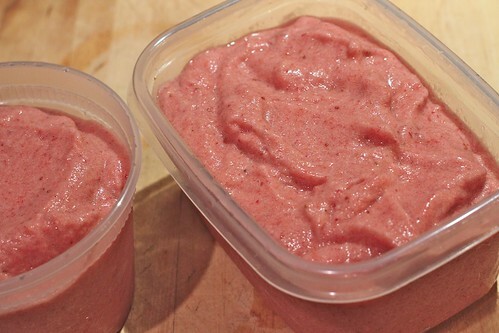 And then try not to eat all the fruit so you can make this sorbet. Maybe you should make a double batch. *But seriously, my recipe is gooood. What’s your favorite summertime frozen treat? Blend the fruit and simple syrup together until smooth; you can strain it if you want to get any chunks and seeds out, but I didn’t bother. 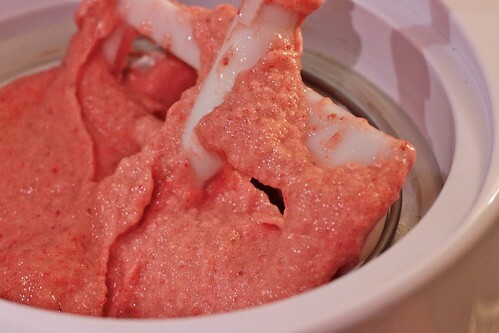 Chill the fruit mixture thoroughly and freeze in your ice cream machine according to the manufacturers instructions. Transfer to some tupperware and stash in the freezer until firm. *Equal parts sugar and water, simmered until the sugar dissolves and then cooled. I make my sangria in a humongous glass jar with a lid and takers scoop out what they want. But you’re right. 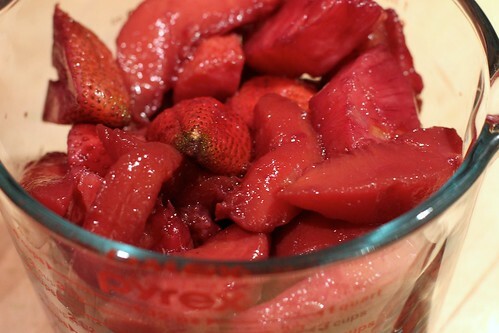 That drunken fruit sits in there for days later stinkin’ up my kitchen, so I’m thinking this would be a swell idea. Of course, my husband would give me the eye since he doesn’t like sangria. More for me?